It’s been one year since our last look at the state of customer support in social media, so we thought it’s a perfect time to see what has changed since. For our new study, we specifically selected only pages that enabled the ability for people to publish posts on their page timelines. Of all these, we only looked at those that have had at least one post from their fans. There are 1,190 Facebook pages with almost 183 million page likes combined included in this study. 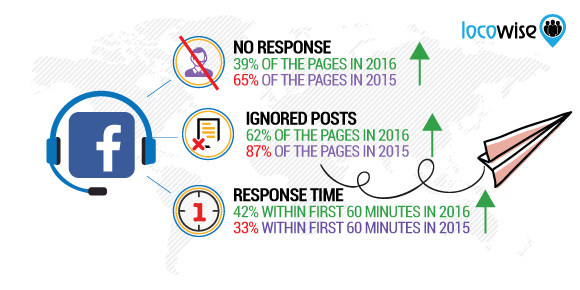 We analysed their customer support performance on Facebook from January 1st to July 21st, 2016. Pages we looked at received more than 189,000 posts from users in this time period. This makes it 159 user posts per page on average. There was one user post for every 966 page likes. Last year this number was at one post for every 22,500 page likes. Facebook’s initiatives to get more people to use the platform to get in touch with brands have worked extremely well. Facebook should now be considered not only your primary customer support platform in social media but one of your main customer service platforms, period. 463 pages didn’t respond to a single user post. This is 39% of all pages we looked at. Last year this number was at 65%. This is a huge 40% decrease in pages that are completely ignoring their fans. 62% of all posts were ignored. This number was at 87% last year. This is a 28.74% decrease in the number of posts ignored. These are very positive numbers. 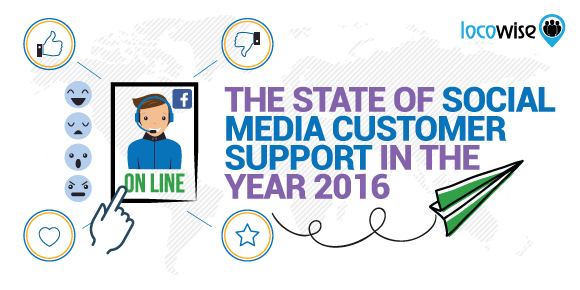 More brands now take Facebook seriously as a customer support platform than they did last year. More brands now actually engage and respond to their fans. One action point for social media managers: If you don’t plan to answer to user comments it might be useful to disable the option for them to post on your timeline. Alternatively, set the option to moderate the posts before they are shown on your timeline. Pages in our study answered to 71,684 of the posts. 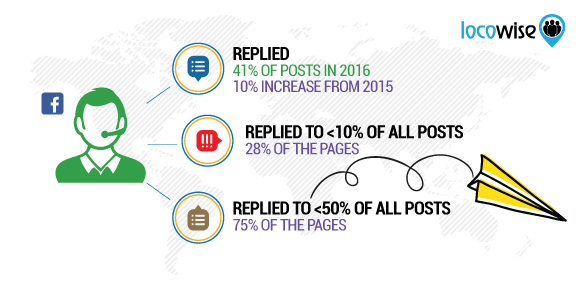 For 727 pages that actively responded at least once, 41% of all posts were replied to. This number was at 37% last year. Only 27 pages responded to all the posts they got. The average number of posts these pages got was 3. 28% responded to less than 10% of all posts, and 75% responded to less than 50% of all posts. These numbers are still quite negative, and there’s still a lot of work to do, but we’ve seen a 10.81% increase in the percentage of posts replied to compared to last year. 54% of all responses arrived within 2 hours of the posts being posted. 42% of all responses arrived within the first 60 minutes (this number was at 33% last year), with furthermore 12% coming within 2 hours (same as last year). This is a 27.27% increase in the number of responses coming within the first hour. Brands are responding faster, and if you do get a response, you are likely to get it within two hours of posting. These are our social media customer support heroes. Some familiar names are in here from our last study: Virgin Media, Vodafone and Missguided. These brands have been consistently dedicated to their customers and deserve praise. Here’s the list of top 10 brands in our study as ranked by the total number of responses in the time period. We’ve included the total number of the replies they’ve made and their response rate. How can your brand become one of the social media customer support heroes? Do take a look at our guide on how to provide stellar customer service on social media. 1. Facebook should now be considered a major platform for customer support services. If you care about doing great customer support, you need to make yourself available on the platform. 2. If you don’t believe that customer support on social media makes a difference to your company, you should remove the ability for users to be able to post on your timeline. We see this as a “less evil” solution compared to allowing people to post but ignoring their feedback and questions. 3. Companies, in general, have become better at responding on Facebook. They respond to a higher number of posts and they respond faster, but there’s still space for improvement. Make sure to review all the posts coming in and aim to acknowledge every post that you get if nothing else than to just say “Thank you for being our customer and taking your time to send us your feedback”. Need data to help you figure out the current state of your brand’s performance in social media customer support? You can use Locowise for a quick overview of the user posts you’re getting and the performance of your team regarding the response rate and the speed of response. Take a free trial now.